1940. In the Silent era there were the Talmadges – Constance, Norma and Natalie. The most famous movie sisters must be Joan Fontaine and Olivia de Havilland. But before Joan emerged as a star, the Lanes – Rosemary, Lola and Priscilla – were the best-known sister act on the silver screen. 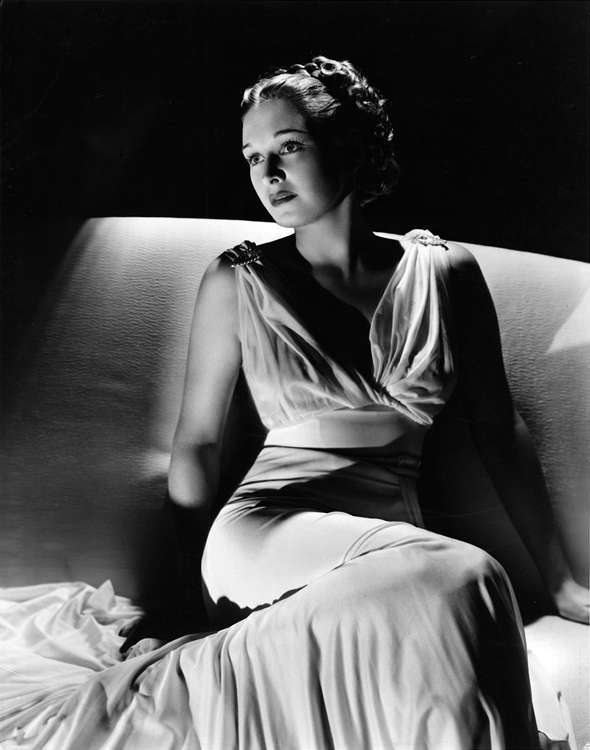 And here is Rosemary Lane posing in classically sultry mood for George Hurrell. Rosemary’s career is rather overshadowed by that of her more famous sister, Priscilla, star of Arsenic and Old Lace. But next year Rosemary will marry Bud Westmore, a leading makeup artist and brother of Perc Westmore, the makeup king of Hollywood. Photo by George Hurrell.